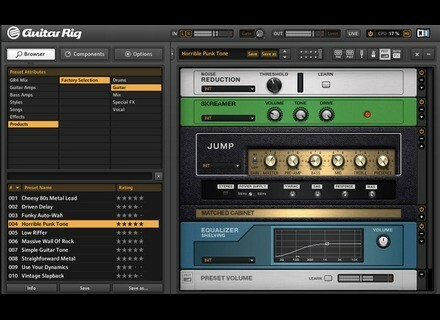 Guitar Rig 4 Player, Software Amp Simulator from Native Instruments in the Guitar Rig series. 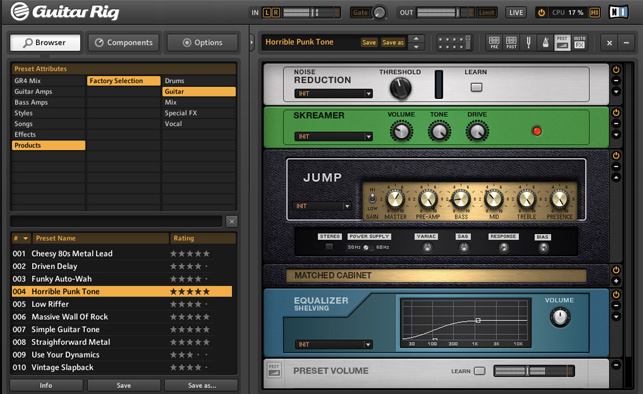 NI has announced the availability of its free Guitar Rig Player, updated to v4.1.2. Native Instruments Razor Native Instruments have released the first 'signs' of a new instrument on Youtube. Naughty Panther SimpleMidiPad Naughty Panther (Chris Randall from Audio Damage) has released SimpleMidiPad for iPad. Focusrite Scarlett 18i6 The Focusrite Scarlett 18i6 is an 18-input, 6-output USB 2.0 audio interface.